The research of myself and the research group that I am responsible for comprises laser materials processing, particularly additive manufacturing and welding with laser beams. In particular, we apply various mathematical methods as well as experimental methods like advanced high speed imaging to study the process physics. Alexander Kaplan was born in Vienna, Austria in 1967. 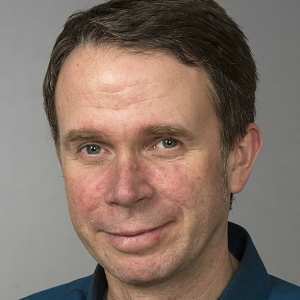 He was employed as researcher at Vienna University of Technology from 1989 to 2000. In 1994 he received his PhD-degree on the modelling of laser welding. After a post-doc year at Osaka University, Japan, from 2002 on he has been appointed as chaired professor of Manufacturing Systems Engineering at Luleå University of Technology, Sweden. He belongs to the Division of Product and Production Development at the Department of Engineering Sciences and Mathematics. by an own mathematical approach (semi-analytical modelling) that enables flexibility to take into account individual mathematical models for each relevant physical mechanism involved, in particular interaction zone geometry, absorption, thermodynamics, fluidmechanics, plasma formation, chemistry, metallurgy, stress formation, etc.